Different companies and organizations need different products. 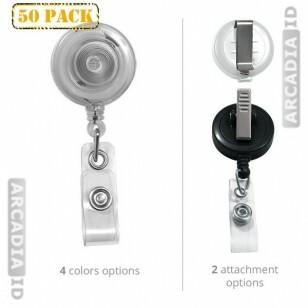 Custom make your own badge reels by choosing both the attachment type and the color that works best with your business. These are packs of 50 to keep you well stocked! For the full range of ID card supplies at amazing prices be sure to browse the site. Rapid delivery on all products.